Can you imagine winning £25,000? Today you have the chance to win big and bring hope to children with cancer across the country. 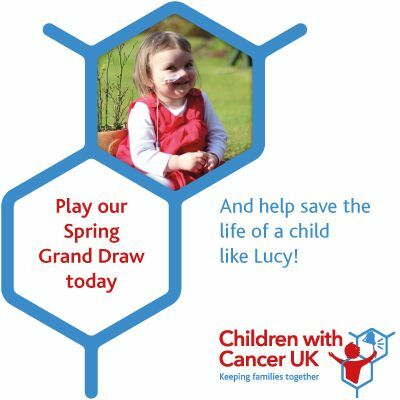 For just £1 a ticket you can help a child like Lucy survive cancer. Lucy was only seven months old when she was diagnosed with a brain tumour. Today, at seven years old, Lucy faces a life time of health issues due to the location and nature of her brain tumour. With your help, we can fund research into kinder and more effective treatments for children like Lucy. The Spring Grand Draw is easy to enter. Simply click on the Play now button below. The closing date is 22 May and the draw date is 31 May 2019. Thank you and best of luck in the draw.